Fire extinguishers are an essential piece of the fire protection system of a building. They are easy to operate and almost anyone can use them, making them critical in saving the lives of others. Extinguishers are able to put out small fires before they become large and dangerous. Getting educated on the types of fire extinguishers and how to use them is very important. There are different types of fire extinguishers that put out each of the 5 main classes of fires. Class A – This type of fire burns common materials such as wood, paper, rubber, and many plastics. The fire extinguishers to be used on class A fires contain water. Class B – A class B fire is fueled by flammable liquids and gasses including gasoline, oil, and paints. A carbon dioxide fire extinguisher is used on this type of fire. Class C– A fire in wiring, electrical equipment, computers, or appliances is a class C fire. Fire extinguishers for class C fires utilize dry chemicals. Class D – The fuel for a class D fire is metals including magnesium, titanium, aluminum, and potassium. Dry powder fire extinguishers will put out class D fires. Class K – Kitchen fires are considered to be Class K fires. This type of fire involves oils and fats that are used in cooking and should be put out using a wet chemical fire extinguisher. It is important to note that many fire extinguisher suppliers sell multi-purpose fire extinguishers. These extinguishers may be labeled A-B-C or B-C depending on which class of fires they may be used on. Educating people on the correct way to use a fire extinguisher is important to ensure that fires can be put out quickly and safely. Remember the acronym PASS when using a fire extinguisher. P – Pull the Pin and hold the fire extinguisher with the nozzle pointing away from you. S – Squeeze the lever slowly and in a controlled manner. S – Sweep the nozzle from side to side until the fire is put out. Once you know how to use a fire extinguisher, it is also important to learn when to use it. Remember that in a fire, your safety is most important. If the fire is too large, you and those around you should escape the building as quickly as possible. Trying to put out a fire that is already out of control can be very dangerous. You should call the fire department and have a planned evacuation path before attempting to use a fire extinguisher. Fire extinguishers should be checked at least once a month to make sure they are ready to use and in proper condition. Check to see if any fire extinguishers are blocked by objects or equipment. They must always be easily accessible in an emergency. Also, you should check the pressure level on the gauge of the extinguisher to make sure it is not too high or too low. Look to make sure the fire extinguisher is not damaged in any way. There should be no dents or rust present on the can, hoses, and nozzles. Make sure the fire extinguishers are clean and any dust or grease is removed from them. 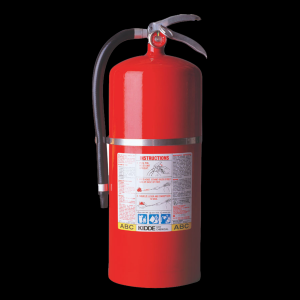 At Delta Fire Systems, we supply residential, commercial, industrial, and government facilities with the fire extinguishers that are right for their environment. We cover all your fire extinguisher needs including inspections, maintenance, hydrostatic testing, and installation. Delta Fire can ensure that your fire extinguishers are being placed in the right spots and comply with code for your building. Our technicians will educate you on the proper use of your fire extinguishers. For more information on the fire extinguisher services Delta Fire provides, call us today at 800-288-4500. Wet vs. Dry Pipe Fire Sprinkler System: Which is Right for You?